The Aireloom mattress is a high-end luxury mattress. The mattress is designed to be both comfortable and more hygienic than the average mattress you will find. It has definite advantages, however; as with most products on the market, there are cons associated with it as well. Customers all over the world have published Aireloom mattress review in high numbers, to help you out. Here are the high and low points of the Aireloom mattress for your consideration. The Kluft company owns the Aireloom franchise and manufactures high-end mattresses in a variety of sizes. The company started the business in the 1950s in Cucamonga, California, making it an established manufacturer. It enjoys an A+ Better Business Bureau rating. The Aireloom line of mattresses is designed to conform to your unique body shape to provide you support and balance. Along with the highest level of relief from pressure, in a luxury setting. The construction consists of natural fibers. Including an outer shell of damask fabrics and viscoelastic foam on the inner portions. Some models feature wool, cotton, latex, and foam in the mattress construction. The design of each mattress is intended to provide for body support, comfort, and durability for a longer mattress life. Additionally, they come in a range of models. Featuring a varying level of firmness to satisfy customer preferences. These mattresses are available in a variety of sizes and materials with mid to full luxury grades. Certain models of the King units are constructed in a 7 x 7 ft layout. It may be turned in four different directions to help preserve the life of the mattress. These are larger than the average King sized mattress. Mainly intended for customers who prefer roomy sleeping accommodations. The comfort layer of the Aireloom mattress varies in composition from one model to another. They may include one or a combination of the following: wool, latex, cotton, memory foam and regular foam. This is what creates diversity among the different styles and gives the customers a variety of firmness and styles to choose. The unique design of Aireloom beds provides a no-flip design. Rotation of the mattress helps to reduce the wear and sagging that occurs with use over time. Some models may be rotated in quarter turns, such as the 7 x 7 king size to extend the life. Heat is not easily retained in Aireloom mattresses. A plus for those with a tendency to put off more body heat while they sleep. Aireloom beds are usually heavier than most other beds. This makes them harder to rotate, move or to transport. Some customers report the need for frequent rotation to prevent the mattress from sagging. If you have sagging occurring, movement on the bed is difficult, and you may find it uncomfortable. Aireloom mattresses are among the more expensive. Ranging from $4,000 each to beyond $20,0000, depending on the model and the size. There is a question whether they compare in quality for such a high price. Aireloom is a brand that may be difficult to find in some areas of the country. Not all branches of the associated retailers keep them in stock. It is mostly a situation of customer demand that determines whether or not a brand is kept in stock. In an Aireloom mattress review, the survey showed a 75% overall satisfaction rate, which is average. Memory foam models have a tendency to off-gas after a few years and to develop sinkholes. Some users reported having back pain due to sagging of the mattress. The warranty program for Aireloom beds is distributed in 10, 20 and 25-year agreements, depending upon the model you buy. You can trust them since they are known to honor the warranty policies to the letter of the agreement. Defective workmanship is one of the leading causes for warranty fulfillment. Other conditions which may arise such as the mattress becoming uncomfortable. Not qualify as an action item if the workmanship and materials are not adversely affected. Upon request, an inspection of the mattress is fulfilled by a representative of the company. He will conduct an assessment and rule on whether the warranty clauses will be enacted on a case by case basis. The company has few complaints lodged with the Better Business Bureau and has an A+ rating. The overall rating of the company concerning transparency of the mattress specifications, warranties, return policies and customer service comes in at a C+. It is slightly above average you will find, but not excellent. 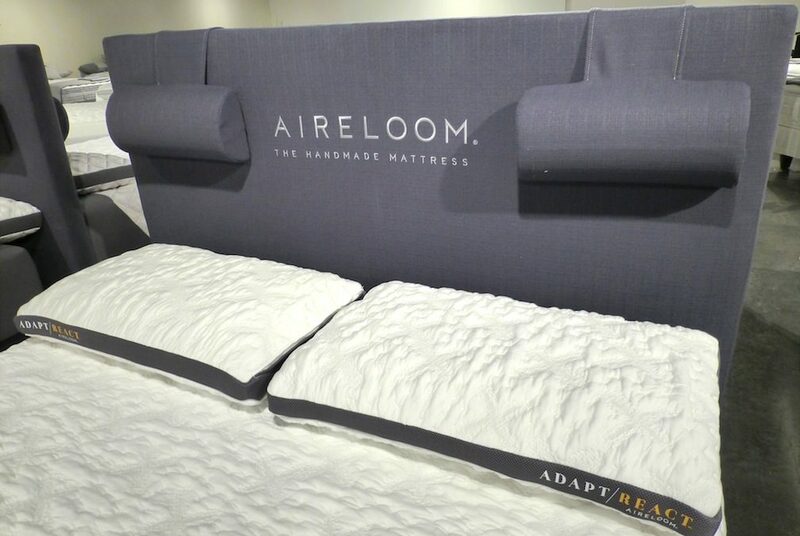 The major retailers who carry Aireloom mattress are Bloomingdale’s, Macy’s, Sit n’ Sleep and Raymour & Flanigan. They are difficult to find in some locations as not all of the locations of these retailers carry the Aireloom or Kluft brands. Aireloom mattress Copyright © 2019. All rights reserved.